Windows Vista was not Microsoft’s most-loved release. People look with nostalgia and rave about Windows 7, but you don't hear much about Vista. Microsoft has mostly forgotten it, but Vista was a good, solid operating system that has many things going for it. If you’re considering upgrading from Vista to Windows 7 or later, here are five reasons to stick with Vista and one huge reason not to. 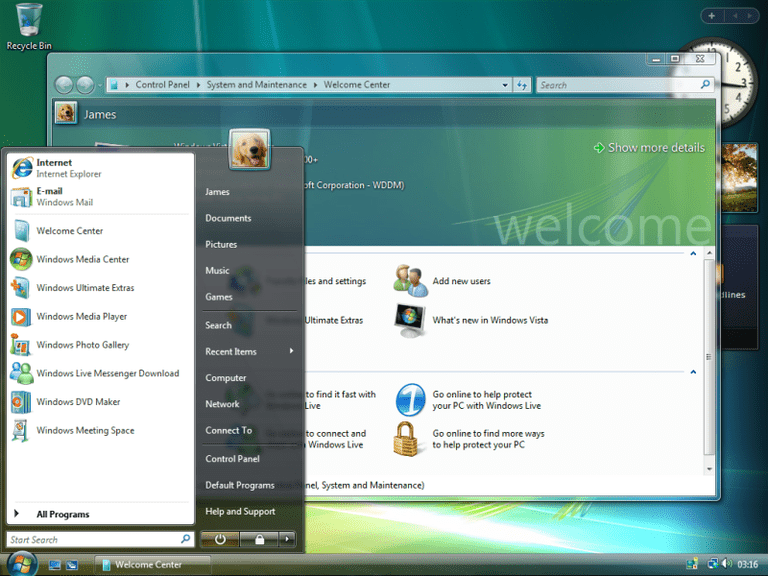 Vista is Windows 7 with more polish. Windows 7 is, at its core, Vista. The underlying engine is the same. Windows 7 just adds a lot of polish and refinement to the basic Vista underpinnings. That doesn’t mean the two products are twins. Windows 7 is faster and easier to use, but under the hood, they have most of the same parts. Vista is secure. Vista is a secure, properly locked-down operating system. One of the innovations it introduced was User Account Control. UAC, although a pain in the neck at first with its endless prompts, was a huge step up for security and was refined over time to be less annoying. Application compatibility is not a problem. One of the main problems Vista had from the outset was the way it broke many XP programs. Microsoft promised broad compatibility and didn’t deliver until later, but updates and service packs eventually took care of most of those issues, and software companies eventually updated their drivers until just about everything works with Vista. Vista is stable. Vista has been used and tweaked for years all over the world. Most of the problems have been discovered and corrected, leading to a rock-solid OS that doesn’t often crash for most users. Vista saves money. You cannot directly upgrade to Windows 7 from XP, meaning that the upgrades are coming from Vista. It may be hard for many to justify the increased cost for Windows 7 or later when Vista does many of the same things and does them well. Microsoft has ended Windows Vista support. That means there won't be any further Vista security patches or bug fixes and no more technical help. Operating systems that are no longer supported are more vulnerable to malicious attacks than newer operating systems. Ultimately, whether you move away from Vista depends on your needs, budget and security concerns. Still rocking Windows Vista? Here's how to get Service Pack 2?